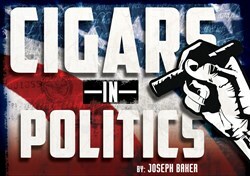 Cigar Advisor Magazine Publishes Piece on "Cigars in Politics"
Cigar Advisor Magazine is a digital publication dedicated to providing cigar enthusiasts with entertaining and informative content about cigars and the cigar lifestyle. Their August 2013 issue features an interview with former Arizona Congressman JD Hayworth, who discusses the role that cigars play in the political scene. While I was in office, Washington was not the Washington we see today. It was a cigar-friendly city. 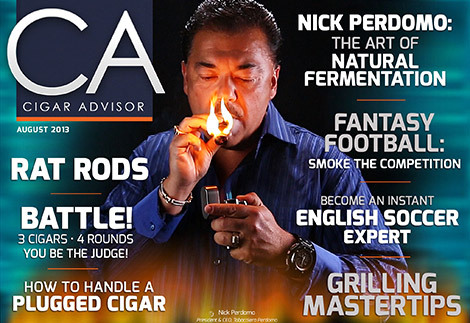 The all-new Cigar Advisor is an online cigar magazine that brings a fresh, irreverent, and down-to-earth perspective on all things cigars to thousands of smokers. In addition to educational cigar content and behind-the-scenes cigar industry articles from some of the business’s top names, Cigar Advisor delivers an array of content about a variety of topics of interest to people who enjoy the cigar lifestyle. The magazine also features cigar reviews and ratings submitted by real smokers. Cigar Advisor has just published a new article called “Cigars in Politics,” an interview with former Arizona Rep. JD Hayworth (R). The two men chatted about Hayworth’s background, including his telling the story of how he decided to run for Congress. As Baker tells it, when JD learned that his wife, Mary, was pregnant with their second child, JD wanted to drop the idea of being a Congressman; his wife insisted he pursue his dream of public service. After mulling it over with the aid of a good cigar, JD decided to enter the race as a Republican candidate. In November of 1994, Hayworth won the first of his two terms in Congress. “His days would now consist of lobbyists, irate political opponents, the media, trips abroad, and discussing issues over cigars with his congressional colleagues,” according to Baker. As for their role in politics, Rep. Hayworth considers a good cigar “ a great neutralizer,” adding, “Cigars invite commonality.” To read more of Baker’s interview with Rep. Hayworth, visit the latest issue of Cigar Advisor Magazine.